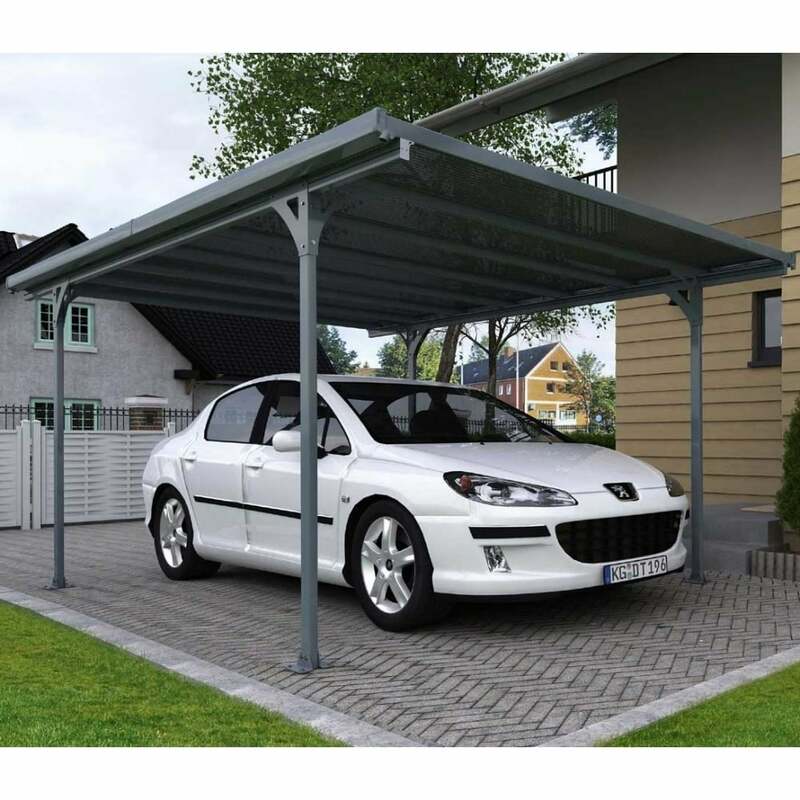 Palram Verona Carport: This carport is a modern design providing all year cover for your driveway and a practical shelter for your vehicle. Providing shade from the weather this structure can also be used as a gazebo or for placing over a hot tub. The heavy duty aluminium frame with galvanised steel connectors is easy to assemble and there are aluminium poles and anchoring footpads enabling you to secure the carport to the surface of your choice. Integrated gutters enable rainwater collection and a 10 year warranty against manufacturing defects is included.